Only child, first-born, last-born, or somewhere in between. 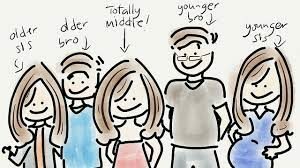 Where do you fit into the birth order of your family? Perhaps you’ve come to believe the myths both within your family and in psychology as a whole that your character, values, achievement strivings, and life success are determined by the family position that fate, and your parents, awarded to you. Psychology goes through periods of alternatively accepting and rejecting these myths. Although various theories abound, when you come right down to it, the matter is one that requires the right research approach. 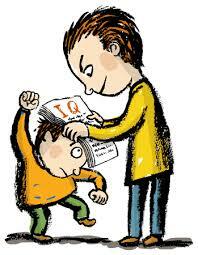 Methods are everything in studies of birth order and personality. OK, your methodological head is spinning by now, so we’ll try to make some sense of the latest research, much of which does a better job of controlling for all of these factors than was true in years past. Taking his lead from the original birth order theorist, Alfred Adler (a one-time disciple of Freud), Stewart distinguished between “actual” birth order, or ABO (the numerical rank order into which you are born in your family of origin) and “psychological” birth order, or PBO (self-perceived position in the family). Right away, you’ve probably learned something useful: Your actual birth order need not have the same impact on you as the birth order you believe you have. Actual and psychological birth order can deviate for a number of reasons, including illness of one child, size of family, and degree of separation between siblings. Your role in the family based on your age may not be same as the role you have come to occupy. As explained by Stewart, using Adler’s framework, the firstborn child (or one with the “oldest” role) would be most likely to take on a leadership position, to like it when people stick to rules and order, and to strive toward achievement goals. The firstborn may be sensitive to being “dethroned” by younger siblings who drain away the attention of parents that the firstborn enjoyed before they came along.The youngest child may feel less capable and experienced, and perhaps is a bit pampered by parents and even older sibs. As a result, the youngest may develop social skills that will get other people to do things for them, thus contributing to their image as charming and popular. Then there’s the all-too-easy-to-ignore middle child, who feels robbed of the prized youngest child status, and perhaps feels rejected. On the positive side, the middle child may also develop particularly good social skills in order to keep from being ignored. These brief portraits probably sound quite familiar to you, and they should, because they make up much of the stereotyped mythology about birth order. Adler’s description of these positions is more nuanced than we typically read about in their pop psych translations, but for now, they’ll suffice. For decades following Adler’s writings, researchers working in the tradition of “individual psychology,” or the Adlerian school of thought, tried without much success to validate the theory. In part, this was because they lacked statistical methods available now, but also because they focused on ABO (i.e. actual) rather than PBO (i.e. psychological). Much of this changed when the Psychological Birth Order Inventory (PBOI) was developed in 1991 by a research team that included Stewart. The PBOI contains items to assess all birth order positions in the family that individuals rate on an agree-disagree scale. Firstborn items on the PBOI tap feelings of being powerful, important, leading, and achieving (“It was important for me to do things right”). The middle-child items focus on competition, having fewer resources, and feeling unimportant (“It seemed like I was less important than other members of my family”). For the youngest child items, individuals rate themselves on being the boss of the family and getting others to do things for them (“I was pampered by my family members”). Finally, the only child scale tapped those feelings of pressure (“I felt like I lived in a fishbowl”). Now we’ve got the scales sorted out. Let’s see whether PBO trumps ABO, as Stewart’s model would predict. Taking three examples—rational vs. irrational relationship beliefs, perfectionism, and personality—in each case, the extent of the relationships with PBO were not overwhelmingly large, but they were measurable. Your perceived niche in your family plays a larger role in influencing the adult you’ve become than the actual timing of your birth. Stewart’s study shows that we’re not fated to live out a life dominated by the accident of the timing of our birth. You can’t change your actual birth order, but you can change the way you think about your role in the family. Sounds like pretty good news, especially if you felt doomed to a life of presumed middle-child insignificance. Now we’ll take a look at the second contribution, a paper by Daniel Eckstein of Saba University in Netherlands Antilles written with co-author Jason Kaufman (2012). Examining several areas of family life and sibling relationships, Eckstein and Kaufman tested, among other areas, what’s known as the “Confluence model” developed by Zajonc (1976). According to this view, first-borns are the teachers, and later-borns are the learners. However, as Eckstein and Kaufman point out, first-borns aren’t necessarily the only ones doing the teaching between sibs. If we use the assumption that perceptions count more than reality, it then becomes clear that second-borns can have much to teach their older sibs. The way they approach the task may be different, but the direction isn’t just one-way, as we might otherwise assume. We’ll finish up with the Eckstein and Kaufman paper shortly. The third study bears directly on the point of leadership within the two-child home. Ghent University psychologist Bernd Carette and colleagues (2011) compared the ways that first- and second-borns set goals for themselves. Carette and his fellow researchers limited their study to sibs who were closely spaced in age (averaging 2.5 years). 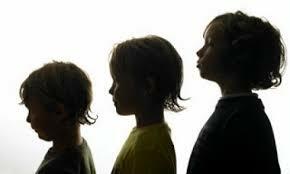 When birth order effects are found, they point out, they tend to be present in this narrow span of time. The theory behind this study was that firstborns would set “self-referenced” or mastery goals (ones that they choose for themselves) and second-borns would set “other-referenced” goals or performance goals (wanting to do well on goals set by others). Firstborns, they argue, would strive for mastery, but second borns would want to do well to hit the targets that someone else set for them, i.e. the older sib. The measure they used tapped mastery goals by asking participants to indicate, for example, whether in their courses they sought to understand the material as much as possible. Questions about performance goals asked whether they wanted to do well compared to other people. The findings Carette and team report lend statistically significant, but differences of about 2/10 of a point on a 5-point rating scale. They concluded that the findings “show that birth order lies at the heart of people’s goal preferences” (p. 502). Pretty strong stuff. But with the psychological birth order idea in mind, it’s hard not to wonder how much perceived family role influenced these motivational ratings. If you’re convinced that your birth order leads you to be a leader, you’ll behave like a leader. 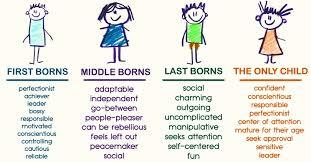 Perceptions about birth order can also influence your choice of a future career. Given the mantle of the achievement-oriented firstborn, you may set your sights higher than do your lowlier, younger, followers. Eckstein and Kaufman cite a study conducted in Poland showing that people believe first-borns to be more likely to occupy high prestige occupations to the tune of a correlation of .76 (out of a possible 1.0). That’s an almost unheard-of statistic in psychology, where the average reported in a published article is about .3 or .4 at most. With regard to intelligence, which you have undoubtedly also heard is related to birth order (and fits the Confluence model), the data remain unconvincing: When you add in the stereotype threat effect, which states that people perform on intelligence tests in ways subtly influenced by their self-perceptions, the birth order research becomes even more inherently flawed. If you go around life believing that because you’re a firstborn you’re inevitably smarter, you’ll approach any testing situations with the kind of self-confidence boost that can actually boost your score. This is just one example of the impact that perceptions and stereotypes about birth order can have on apparent birth order effects. The moral of the story for parents is to look for your own biases and stereotypes about birth order as you think about what your children are capable of doing. Encourage them to teach each other, to define their own identities in the family, and to avoid labelling themselves based on their birth order. Don’t let the lives of your children be dominated by the random forces that caused them to be born when they were. Article written by Susan Krauss Whitbourne, Ph.D. 2013.